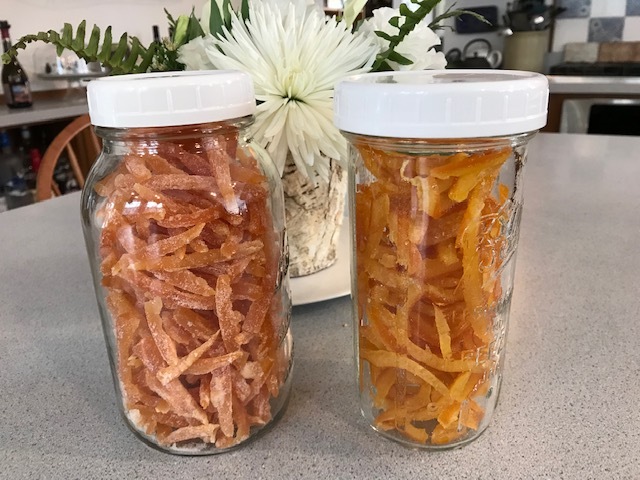 Posted on 21 January 2019, in citrus, Food In Jars Mastery Challenge 2019, Preserving, Winter and tagged candy, Food in Jars Mastery Challenge, grapefruit, orange, preservation. Bookmark the permalink. 2 Comments. Betsy, thanks for sharing your experiments with us!! 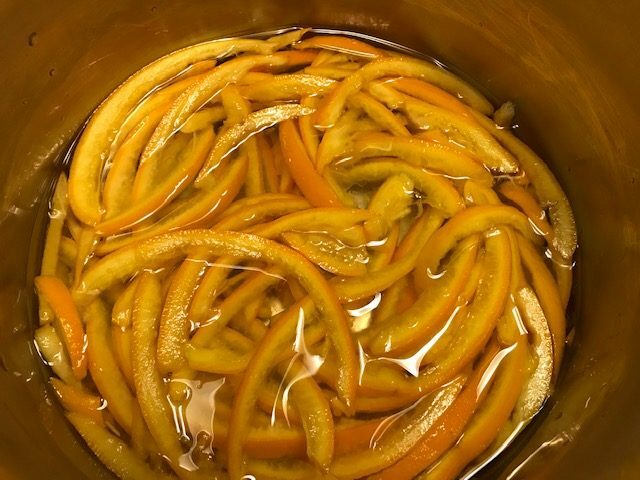 I made some candied orange peel for the Christmas cake a while back. So yummy! And really kind of juicy! Loved it. So happy that you were able to try it out! 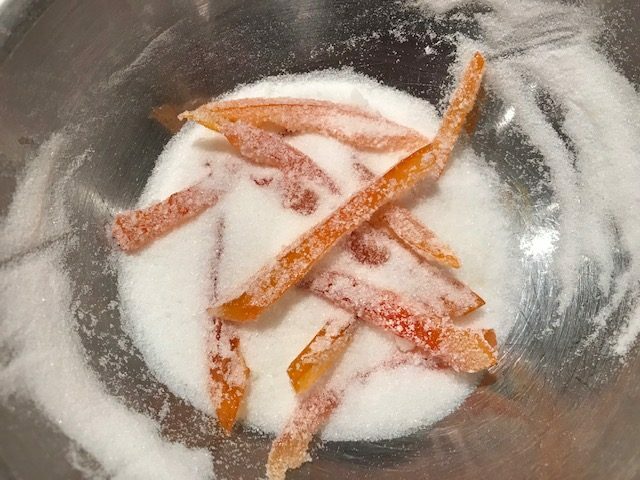 BTW, I also think the candied orange peel would be great in a cocktail. 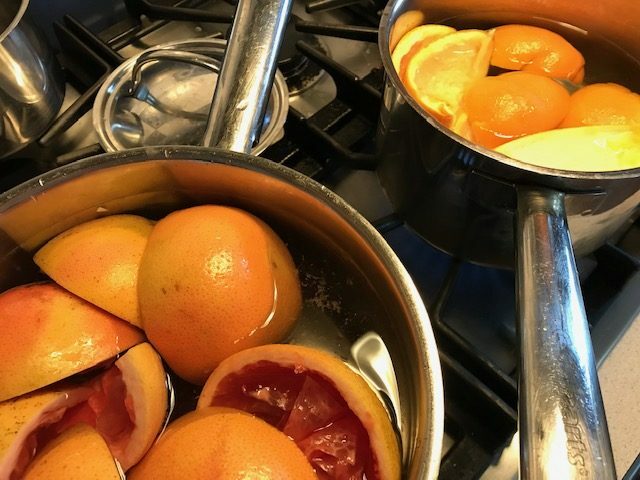 Like instead of fresh in an old fashioned. Or in a glass of Prosecco or Champagne. I’m sure there would be other options. 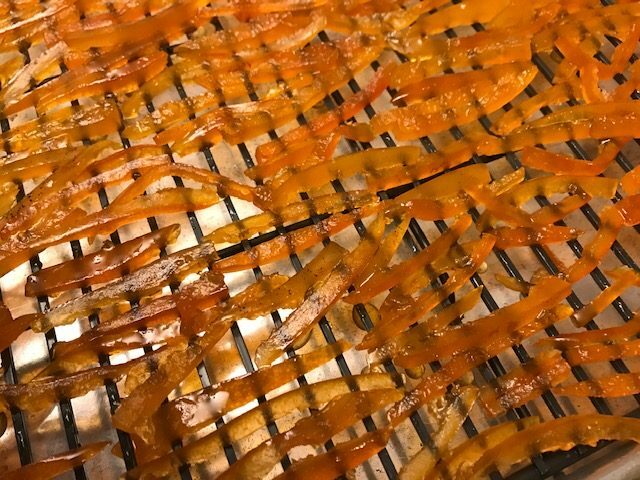 I think candied lemon peel would be yummy too!! Well done! I’m looking forward to reading about more of your escapades! !